As Great Britain takes to the polling stations, Labour peer Lord Puttnam spoke to Marketing about the key political and societal issues threatening democracy and brand trust. 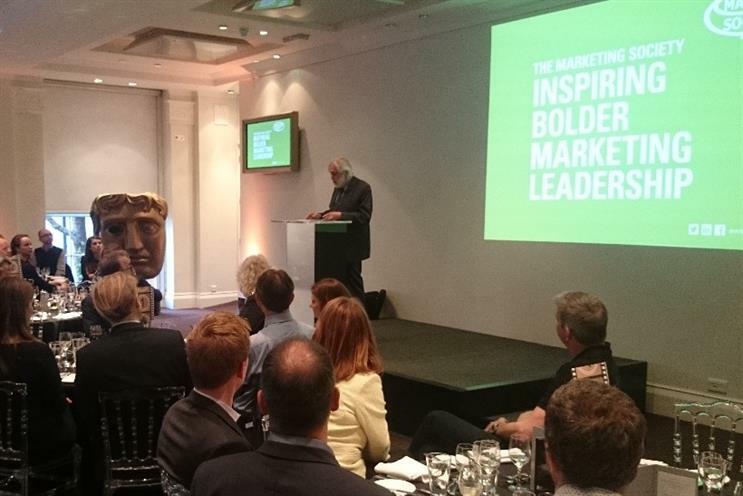 Lord Puttnam took to the stage last month at The Marketing Society Annual Lecture at BAFTA to discuss his view on leadership and call on marketers to use their position to drive social change. One of Lord Puttnam's primary concerns is the "serious" level at which younger people are becoming disengaged with politics. Should you make democracy that simple? Should you make it inexpensive? "A lot of people try to pretend there isn’t a problem or that it will go away. What I am showing is that there is a problem with young people and disengagement with politics. It really has now set in and it is really serious," he said. The answers offered to the problem of engaging millennial voters may sound familiar to marketers, particularly the focus on digitising services and communications to fit with the 'social media generation'. However, Lord Puttnam is sceptical about the idea of introducing online voting: "There’s no question that you’d increase participation if you could do it electronically and we have this conversation all the time at House of Lords. Wouldn't it be lovely if you could press a button to vote and not get in a taxi or walk in and do it? " "But there is a flipside to that... should you make democracy that simple? Should you make it inexpensive?" He added: "It’s easier for me to say than for [most] to remember but I didn’t meet my dad until I was five because he was away fighting a war. He was fighting a war to be sitting here as we do now. Did he fight a war to make it a push button democracy? I don’t think he did." His answer for how to engage with an increasingly disinterested youth is ‘trust’, something which he also urges brands to think about. He draws a parallel with the ‘none of the above’ movement - which is growing because people don’t like any of the party leaders - to the problems behemoths such as Tesco are experiencing as alternative brands steal market share. With regards to the party leaders, he claims Cameron could have had an opportunity to gain trust but lost it with the way he responded to the Leveson inquiry. In contrast, Puttnam said that Cameron was "absolutely brilliant" with Hillsborough and Bloody Sunday because he spoke honestly. "The problem with Cameron is he thinks tactically all the time. People aren’t tactics, they have to believe that you believe in something," he said. Similarly, Puttnam's trust was 'unforgivably' dented by Blair. Reflecting on his experiences voting for the Iraq war, he said: "People were prepared to be quite forgiving with Blair but the tragedy there is that, having reached a point that people were giving him the benefit of the doubt, he then manipulated us to a point where our natural good sense was removed from us." He added, "I remember thinking - I guess we have go to war because he clearly knows something we don’t - and it simply wasn’t true. It absolutely wasn’t true and I will never forgive him. I voted. I went through the lobbies at the House of Lords and voted for us to go to war. Much brighter people than me didn’t. How instant it is to give out trust?" His advice to brands is to develop trust by doing actions that show you mean what you say. In a social media world, the stakes are higher and Puttnam believes trust is lost easily. "There are brands that, as a result of behaving well, are developing trust. They understand that trust, in the social media sense, is very quickly lost and they know that to sustain trust is almost a daily activity in which you have to prove that you are the trusted brand you said you were. You now have a social media pack out there that are more than happy to put you down if you are not," he added.